Description: Plays C64 Sid Music Files by Paul Heams. 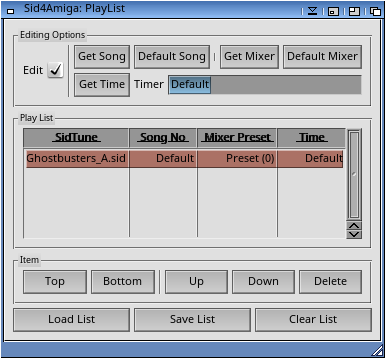 different formats of Sid Tunes. - PPC (Warpos) and 680x0 versions included. 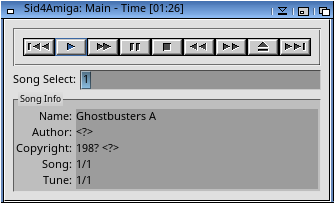 - GUI - With PlayList / Real time mixing / Filter desk! - Filter, Sync, Ring Mod and Sample Channel Emulation. 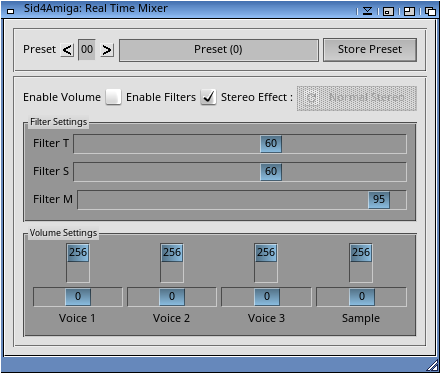 - Direct AHI and AHI Audio Device output. - Can also be used by CLI to produce WAV files. Please see archive for history notes.